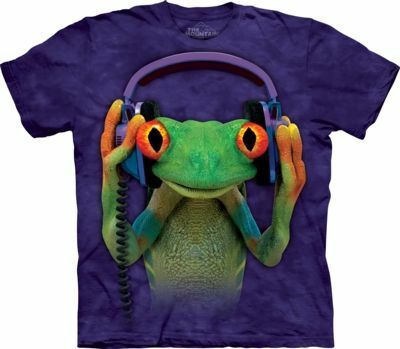 DJ Peace is the coolest frog in the jungle with his dj-ing head phones ready to spin some tunes! 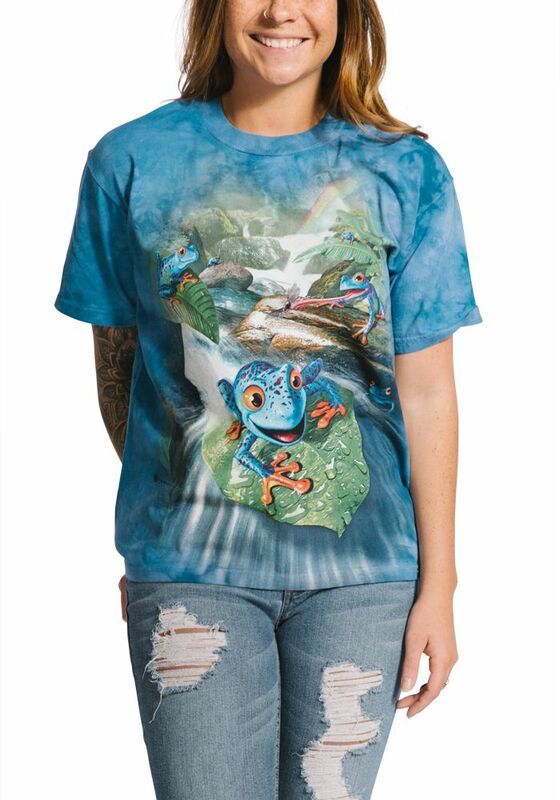 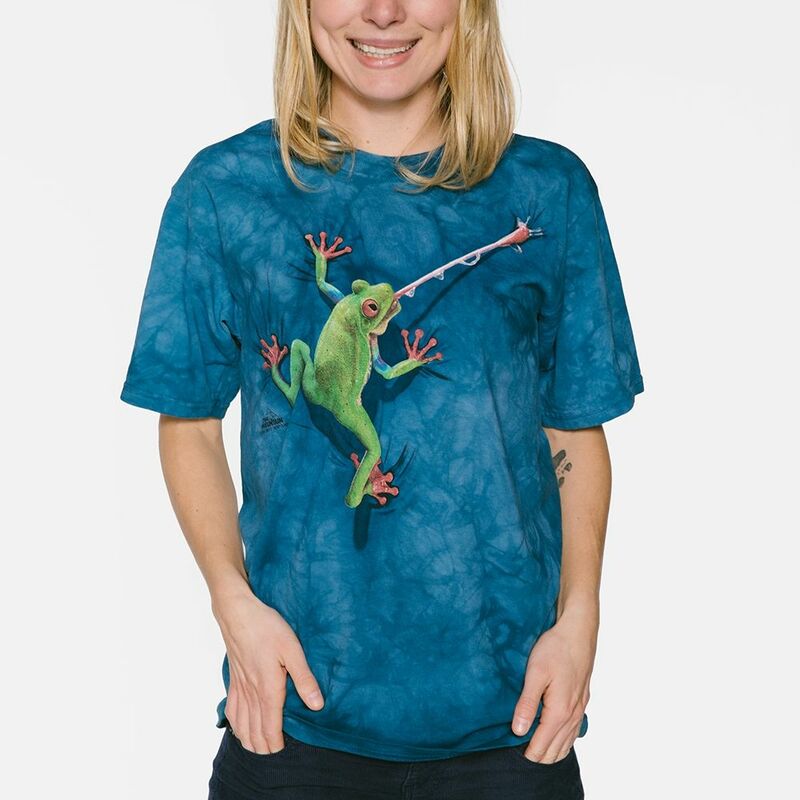 This unisex tee is from The Mountain® and their manimal range. 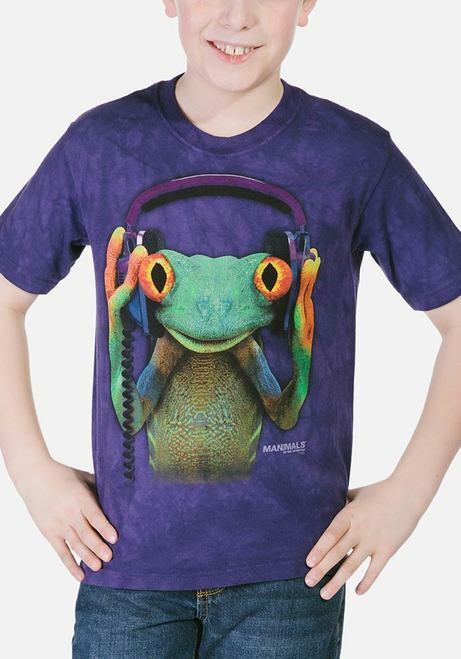 Manimals are animals that wear human clothes or perform human tasks. 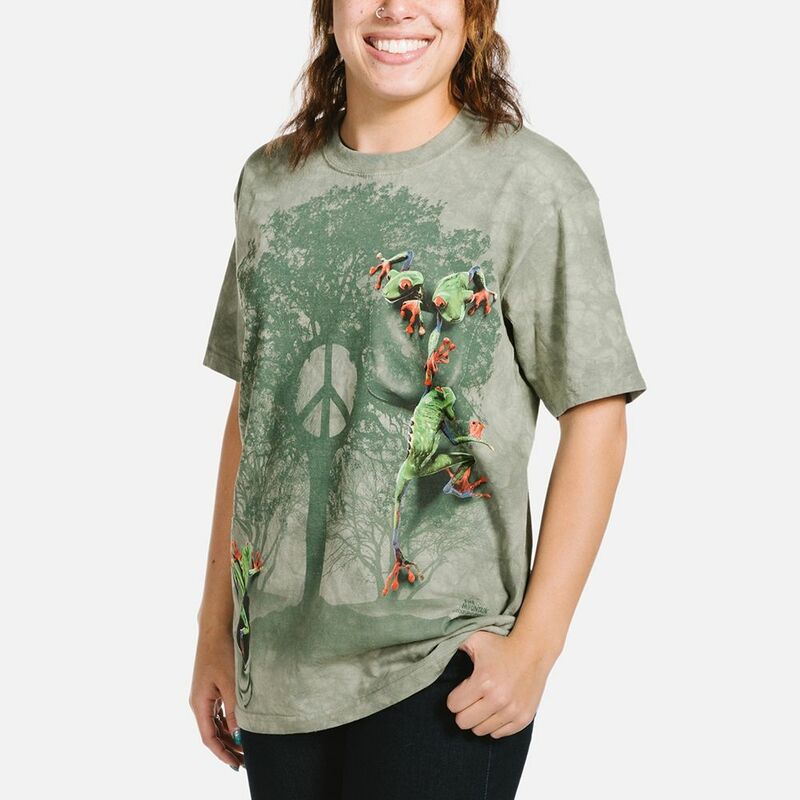 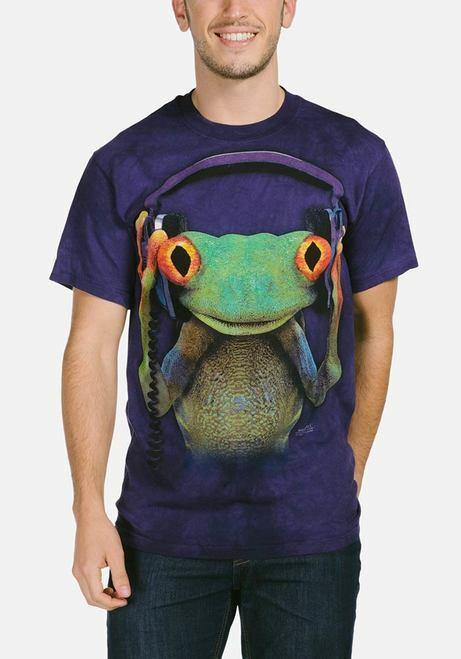 UK artist David Penfound created this fun and colourful frog t-shirt.